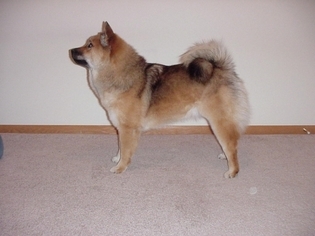 Named after the Chinese city Foochow , the Chinese Foo is an extant breed of Spitz-type dogsthat come with a compact, square-shaped body, broad head, pricked ears, deep chest, muscular loin, and a tail that is carried over their back. 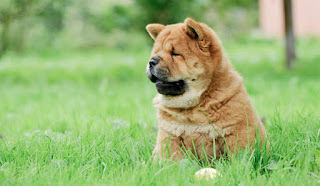 The Chinese Foo Dog is thought to be a mix between the ancient Chow Chow and European hunting dogs, or a link between the Chinese Wolf and the Chow. 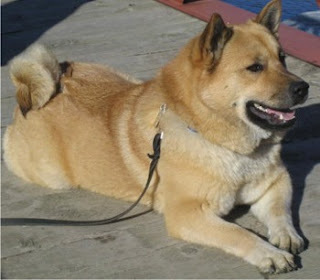 It is an ancient breed, possibly named after the Chinese city of Fuzhou . The Standard Chinese Foo Dog was originally bred to guard Buddhist temples. They were also used for hunting and sledding. Until the Chinese Foo Dog’s numbers began to increase in the 19th century, it was rare enough to be thought extinct. 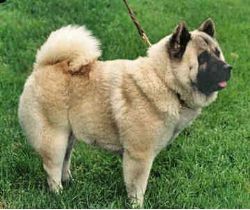 Today, the breed is still rare but growing in popularity in the U.S., as seen by the creation of the Chinese Foo Dog Club of America. They are immune to major health problems. Some members, however, are susceptible to cryptorchidism as well as problems with their bones and joints. Since the Chinese Foo can sometimes be stubborn and domineering, training could become a challenge for first-time dog owners. Foo Dogs need a moderate amount of daily activity including regular walking and jogging. Recreational sports such as fetching a ball and catching the Frisbee will give them a great workout. Since they are easily exhausted during warm weather, make sure that they are not overly exercised. The Chinese Foo Dog lives up to its leonine appearance. They are bold, courageous, and king of the castle. 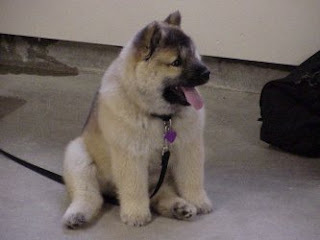 They can also make friendly family dogs as long as they are socialized early. Chinese Foo Dogs are known for their gentleness with children and make quiet and dignified companions. The Chinese Foo Dog can be overly independent, so consider a different breed if you’re looking for a constant, interactive pet. The Chinese Foo Dog needs regular daily exercise and brushing. Be prepared to have fur everywhere in your living space. 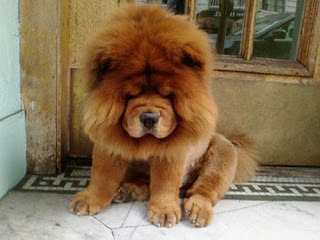 The Chinese Foo Dog is also known as the Chinese Celestial Dog, the Chinese Dragon Dog, and the Happiness Dog. Its ancient skill as a guard dog is still prevalent. This means you will have a well-guarded home, but it also means a dog who may be averse to strangers. This is a stubborn breed, so early obedience training is a must for all three versions. The Chinese Foo Dog has no known health issues.